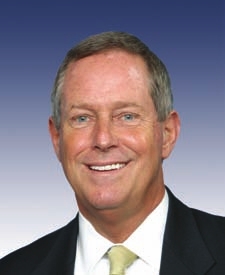 This is just a quick note on Representative Joe Wilson (R-SC), who interrupted Obama’s Wednesday night speech with “you lie!” Which, by the way, was true: Obama lied when he said the current plans didn’t cover illegal immigrants. But that’s no shock, since he lies pretty much any time he addresses the subject of health care. First, he should never have apologized for anything. All those who say he should have are wrapped up in some puerile sense of fair play and civility, which is foreign to politics at large. I’ve heard it said that war’s a dirty game, but at least practitioners can retain their honor and integrity if they want. Politics almost requires one to divest themselves of it. To compete, one has to get their mitts dirty, on whichever side one finds themselves. And, sometimes, disrupting business as usual is necessary…see the recent tea party phenomenon as a prime example. He shouldn’t have apologized for interrupting Obama’s stream of consciousness series of hooey, criticizing Obamascare in general, or anything at all. Democrats don’t seem to have any problem shouting at and harshly denigrating red presidents, so left-wing whining over this is hypocritical to beat sixty. Republicans pressuring the man to the point of contrition should be slapped in the face with a carp for being such massive tools who are happy to benignly accept their second class politician status. What sissies. My second criticism: he should have sat up, said what he said, if not more; and walked out of the building in a blatant show of disrespect and disdain. For that matter, all honest politicians in the building should have. But, then, “honest politician” is an oxymoron, while the house was filled with plain morons. President Obama is a lying liar who lies big fat lies. It’s about time someone called him out publicly, but it’s too bad so many people don’t want to hear it. ← Salvation by Faith…and the Sabbath?